Conservatories can add a real touch of class to almost any home - not to mention boost a property's value. Pilkington has years of experience in the glass production industry, making it one of the leading conservatory manufacturers in the world. Why are conservatories such a valuable addition? Well, because they're built almost exclusively from glass, they're guaranteed to let in the maximum amount of natural light and provide a scenic view. Even if it's cold outside, you can enjoy the feel of being outside while remaining indoors. A conservatory can provide some much-needed escapism in a busy household. Perhaps you can use yours as a quiet place to become immersed in a good book, or maybe your kids can use it as play area when the weather isn't too good? The options are almost limitless. 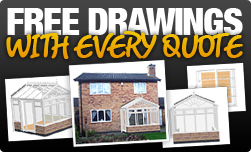 Our conservatories are designed with your usage requirements in mind. Pilkington can help you select the right type of glass - alleviating any safety or cleaning concerns. Cleaning is a concern for any conservatory owner. A dirty one prevents a conservatory from achieving one of its fundamental purposes - letting in light. Enter Pilkington Activ™ Clear, the first type of glass capable of cleaning itself. Its innovative dual-action coating, which to the untrained eye doesn't distinguish it from conventional glass, is capable of breaking down dirt using the sun's UV rays. The British weather can then be put to use - when it rains, the dirt is simply washed away. There's no need to worry about streaks either, as Pilkington Activ™ Clear dries more quickly than conventional glass. The benefits of Pilkington Activ™ Clear are combined with solar control performance thanks to Pilkington Activ™ Blue and Pilkington Activ™ Neutral. 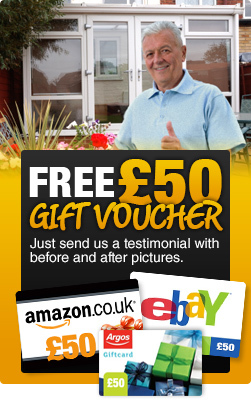 Worried about your conservatory getting too hot in summer? There's no longer a need to thanks to this state-of-the-art system - something that will be as beneficial to your energy bills as your comfort levels. Self-cleaning glass is no longer the impossible dream. Pilkington undertook a thorough research and development programme to develop its innovative Pilkington Activ™ Clear product - and conservatory owners the length and breadth of the country are already experiencing the benefits. Pilkington Activ™ Clear uses a 'photocatalytic' process to break down and disintegrate organic dirt (which, as conservatory owners will testify, largely consists of bird droppings). Further, Pilkington Activ™ Clear's 'hydrophilic' make-up means that rainwater spreads out evenly on impact rather than forming droplets. It also dries quickly - so there is no unsightly residue left behind. Within the Pilkington Activ™ range is Pilkington Activ™ Neutral, which is specifically designed for conservatory sides and large glazed areas, and Pilkington Activ™ Blue, which is the perfect solution for conservatory roof glass. This is regarded as the ultimate conservatory glass choice. Manufactured in an attractive blue colour, it doesn't just look stunning but helps keeps an optimum internal temperature - while not at the expense at the amount of light that comes in. Pilkington Activ™ Blue can be combined with Pilkington K Glass™ or Pilkington Optitherm™ S4 Plus during the winter to guarantee optimum thermal performance. This aesthetically-pleasing grey-coloured glass combines the benefits of Pilkington Activ™'s dual-action, self-cleaning properties with innovative solar control performance to offer a cooler, more comfortable internal environment. No one likes an overly-hot conservatory in the summer or a too-cold temperature in the winter. Pilkington Activ™ Neutral keeps your conservatory's temperature at a pleasant level all year round - and not at the expense of reduced light levels. Self-cleaning glass, and self-cleaning glass with solar control capabilities, can bring a range of benefits to your conservatory and ultimately, your home. Because the Pilkington Activ™ range utilises the latest technology, there is very little maintenance to worry about. Window cleaning bills will be dramatically reduced if not eradicated outright, and you'll not lose any time scraping away dirt. The ability to save time and money has encouraged many homeowners to embrace self-cleaning glass. They'll no longer be a need to employ expensive windows cleaners or waste time cleaning the glass yourself thanks to the innovative Pilkington Activ™ range. 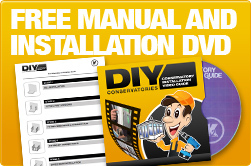 Further cost benefits can be had when it comes to regulating your conservatory's temperature. While solar control glass will keep your conservatory cool during the warmer months, its effective insulation will save on the cost of heating the cost of your conservatory during the winter. With Pilkington Activ™, you can rely on nature to do the cleaning legwork. Sunlight and rainfall (the latter of which is particularly forthcoming, as most of us will know - if not, you can always use the garden hose) will work their magic, which is better for the environment as there's no need to use detergent. Window cleaning isn't something homeowners put off simply because it's a tedious task - it can also be potentially hazardous. Because Pilkington's conservatories are self-cleaning, you'll be climbing a flimsy ladder and handling buckets of soapy water much less often. The innovative, low-maintenance Pilkington Activ™ range can be combined with improved safety, solar control, noise control and thermal insulation - essentially, its products are the ultimate in terms of glass solutions. Pilkington has 180 years' experience in the glass industry, enabling it to establish a reputation as the technological leader in the sector. No other company will be able to keep your glass cleaner, or produce panes with a longer lifespan.